In addition to great pay and working at some of the best hospitals around the country, when you work as a Fastaff Travel Nurse, you're part of an exclusive team of nurses. If you have worked with Fastaff in the past year, log into the nurse portal to access details on programs and special pricing. More perks are coming soon. 24-Hour Fitness is the worls largest privately owned fitness center chain. Convenient locations, the latest equipment, affordable pricing, knowledgable staff and outstranding service are all part of the package with 24-Hour Fitness. Fastaff is pleased to offer a low cost membership of $29.99 a month with no contracts. You can add family members and still save! 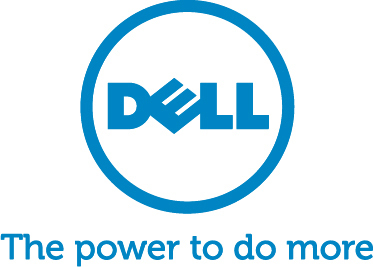 Dell, one of the top computer companies in the world, providing a comprehensive portfolio of high quality computer products. Fastaff Travel Nurses are eligible for multiple discounts. Frequent special values and promotions in addition to standard discounts. To take advantage of these great deals, log into the nurse portal to access your DELL discount code. Fastaff and Verizon have teamed up to provide you with a very special offer! As a Fastaff nurse, you may be eligible to receive the following special offers. 25% off selected accessories. Choose from a variety of free phones or save on the latest smartphones from Verizon. Fastaff and AT&T have teamed up to provide you with a very special offer! As a Fastaff nurse, you may be eligible to receive the following special offers. Crazy Scrubs, a retail supplier of scrubs, jackets, surgical hats, shoes, and accessories, has teamed with Fastaff to bring a 10% discount on all merchandise to all Fastaff travel nurses. Get your discount code in the nurse portal and shop online at www.crazyscrubs.com or call 303-794-6460 to receive a catalog.